This is one of the most often asked questions among casino visitors that are not professional gamblers. To be able to claim a certain tax deduction based on gambling losses you should follow some steps recommended by the IRS. First of all, you should know which forms of gambling are susceptible to loss deduction. These are various kinds of the lottery, raffles, horse and dog races, casino, and poker games and sports betting. The IRS recommends keeping some kind of a diary where you will keep an account of all of your winnings and losses in any of the above-mentioned category. 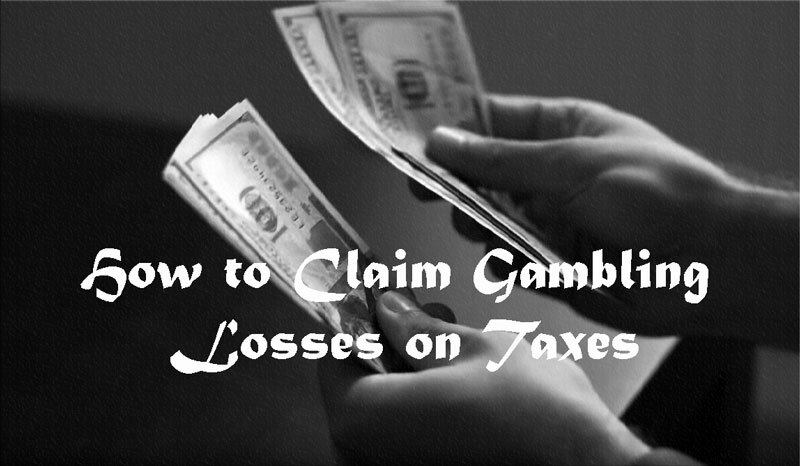 Before you can file for any deducting losses you have to prove that you have had some gambling winnings. The casino is responsible for submitting a form W-2G to the IRS. This form actually represents a list of your annual gambling income. However, this W-2G form doesn’t include all your winnings. Whether the winning will end up on this form depends on the amount you won in a specific casino game. For example, this form should contain all the winnings over $1200 on slot machines, jackpots won on bingo or keno that exceed $1500, more than $5000 won in a poker tournament, and more than $600 won in other casino games. This form contains many boxes but the most important boxes for your tax return should be 1,2 and 14. 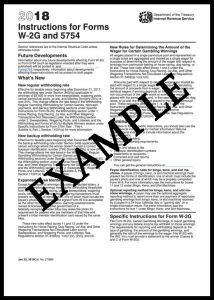 Box number 1 has the information about your taxable income while boxes 2 and 14 should contain information about the withholding taxes – i.e. taxes that are demanded by the government or some of the government bodies by the casino in case of gambling, thus box 2 has the info about the federal tax withheld while box 14 refers to the state tax withheld. In order to claim the deduction of your gambling losses, the IRS will require you to itemize your deductions on your losses. This is usually done on schedule A. You should bear in mind though when you’re doing these calculations that the amount of gambling losses cannot exceed the winnings in your report. For example, if your loss is $3000 while your winnings are only $1000this means that your deduction will be only $1000. Let’s return to the schedule A for a moment and explain its purpose. Schedule A contains seven categories for itemizing tax deductions and gambling income should fall into the category of the miscellaneous deductions. You are not required to fill in all the categories, you should focus on ones you are eligible to ask the deduction for. After having completed the schedule A you should copy your total deduction on the form 1014. The IRS also advises you to keep all the receipts from the casino as well as betting tickets or canceled cheques in order to prove your losses more easily. All of this, however, don’t apply if you are a professional gambler who has to comply with some other taxing rules and regulations. For example, professional gamblers have to fill in the Schedule C where they should give the detailed account of their income and expenses. Professional gamblers also have to pay the self-employed tax. ← What form of Gambling is more prevalent among older adults?